"One-dimensional liquids have fascinating quantum properties that have been studied by physicists for decades," Matveev told Phys.org. "Quite surprisingly, we have been able to show that even such an essentially classical phenomenon as sound is also very unusual in these liquids. Our work implies that even the simplest classical properties of a fluid can be strongly affected by its quantum nature." Although classical fluids generally support just one type of sound wave (a density wave), one exception is liquid helium. As a superfluid, liquid helium can flow without friction, which gives it the ability to flow up the sides of its container, among other unusual properties. Unlike classical fluids, superfluid helium supports two types of sound waves—a density wave and a temperature wave—which propagate at different velocities. 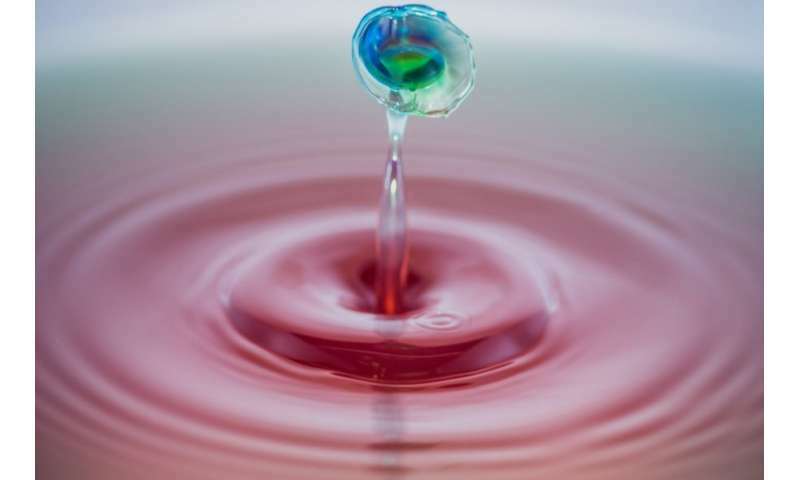 As the physicists explain, in some ways one-dimensional quantum fluids are similar to superfluid helium, as both fluids support two types of sound waves. In other ways, however, they are quite different: instead of one sound wave being a density wave and the other sound wave being a temperature wave, the two sound waves each combine characteristics of both density and temperature waves. This hybrid nature of sound waves in one-dimensional quantum liquids is different than the nature of sound waves in any other fluid, including liquid helium. In addition, the scientists showed that the two hybrid sound waves propagate at nearly equal speeds, with the difference in speed depending on the temperature. In the future, the physicists expect that these hybrid sound waves can be experimentally demonstrated in long quantum wires or atomic traps, in which one-dimensional quantum liquids are known to exist.